(March 25, 2018; Bristol, CT)—BLACKLINE Retail Group and Paragon Realty Group, LLC proudly announce the opening of PetValu, the largest retail operation in North America dedicated to providing families with food and supplies for dogs, cats, companion birds, wild birds, fish, reptiles and small animals. The grand opening was held on Saturday, March 24, 2018. To celebrate the opening, PetValu hosted an all-day event including raffles, prizes, adoption info, and more. The new store is located at 346 Stockbridge Rd. 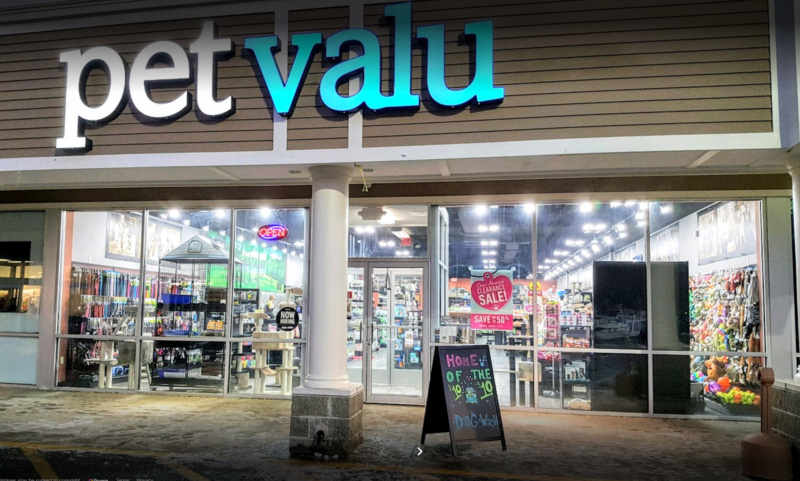 Of its 36 locations in the US, this will be the first PetValu store in Massachusetts. All PetValu stores are dedicated to helping local pets in need, partnering with local shelters, rescues, and charities for adoption events. PetValu also gives back through their national donation drives and fundraising campaigns for these groups. Barrington Plaza is the dominant shopping center in Great Barrington, MA. Great Barrington is known for its retreats and recreation including Tanglewood, Canyon Ranch, Ski Butternut & Catamount, Jacob’s Pillow, and Kripula Yoga Center all of which bring hundreds of thousands of visitors throughout the year and triple the local population during the summer. Barrington Plaza also serves the nearby towns of Lee, Stockbridge, and West Stockbridge. Based in Newton, Massachusetts, BLACKLINE Retail Group provides first class shopping center leasing and brokerage services to Landlords throughout New England. BLACKLINE leases over 3 Million Square Feet of premium retail in Lifestyle Centers, Power Centers & Neighborhood Centers and has completed hundreds of retail transactions with Anchor Stores, Restaurants, Junior Anchors, Fashion Tenants and Service Users of all types.